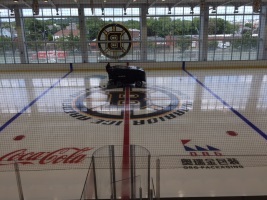 For our Major Tune-up we send a factory trained Ice Resurfacer Technician to your facility where they will diagnose the condition of your Ice Resurfacer. During the Major Tune-up we will provide the following service, inspection, and parts. All parts listed below are provided with this program. Our technician will also discuss each problem with you and its severity so you can take the best possible action for repairs. All preauthorized repairs will be performed at your location.